Ecuador Diving Holidays | travel&co. Ecuador is host to a truly unique cluster of islands located at the centre of a major intersection (in marine terms), with several currents merging here. Designated as a UNESCO World Heritage site, the Galapagos Islands bring you amazingly close to some of the most biodiverse wildlife you’re ever likely to encounter – 20% of which are not found anywhere else in the world. Combine thrilling diving experiences for intermediate to advanced divers with epic land adventures. 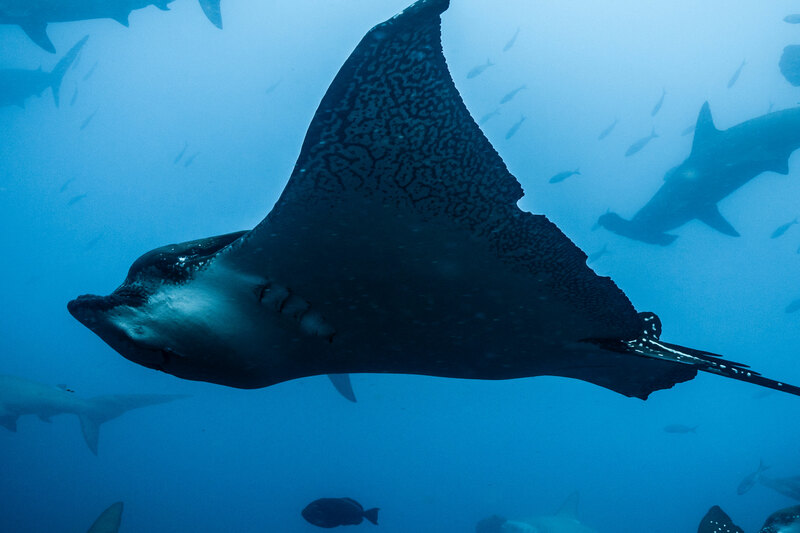 Expect to see an array of sea life including eagle rays, sea lions, dolphins, pilot whales and sharks including hammerheads and white tip reef sharks. Galapagos sharks and white tip reef sharks. A one-of-a-kind adventure in a divers’ paradise.